Two photographs of Otto Grunewald (1885-1955) of Alma, Kansas. 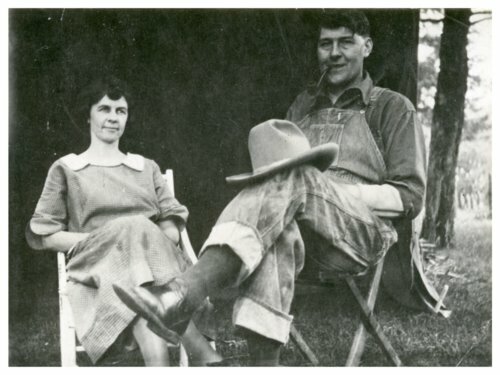 In the first photograph, he sits outside with his wife, Carrie. In the second photograph, he holds a pet bull snake.